Traditional methods of cybersecurity may not include malware protection—a necessity in today’s rapidly evolving cyberthreat landscape. Malicious software (malware) in your network can lead to account compromise, data theft, and possibly access to even more sensitive data in your environment. Any of those incidents can cause network outages, cost vast sums of money to remediate, and devastate a sterling company reputation and earned goodwill. Today’s sophisticated threats require an approach that blends threat protection strategies and applies the right technique at the right time. Armor’s malware protection service provides an additional layer of detection for indicators of compromise (IOC) or a breach of your environment. Unified protection across your cloud, on-premise, hybrid, container, and hosted environments through correlation of malware events with other security controls under our management. 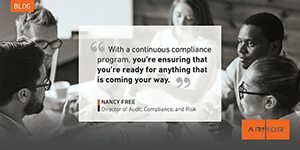 Audit-ready IT environments that meet compliance regulations and industry guidelines spanning the datacenter and cloud: PCI DSS, HIPAA, DFS-500, ISO, and GDPR. Access to time-tested security and compliance experts who monitor your environments 24/7/365. Go beyond simple alerting—beyond compliance—and respond to incidents faster. Building better applications that meet the speed and demands of your organization is what drives a successful DevOps practice. Having effective security controls such as malware protection is an important part of an integrated and automated pipeline. Malicious software can derail you from doing what you do best (building and deploying applications) and cause headaches when compliance and security teams get involved. Armor’s malware protection is a built-in security control that helps you integrate security into your CI/CD pipeline with API-first tools and resources. Armor malware protection monitors your hosts 24/7/365 for anomalous and unauthorized activities that indicate potential threats. The malware protection service provides detection of and protection against malware. Our malware protection application deploys the application agent with the Armor agent. The Malware Protection service's status rolls up into the PDR scores. The dashboard displays both Protect and Detect scores require an operable service. In the Malware Protection screen, the dashboard displays the various malware protection statuses of your virtual machines (or instances): Green indicates a virtual machine in a Secured Malware Protection status. Yellow indicates a virtual machine in a Warning Malware Protection status. Red indicates a virtual machine in a Critical Malware Protection status. Scan results are categorized by criticality so your security team can focus on fixing the indicators of compromise most likely to open your environment to threats.